How is your pug book collection going? Mine has grown with the recent addition of Pug Meets Pig by Sue Lowell Gallion. And you have the chance to add one to your pug book collection too. 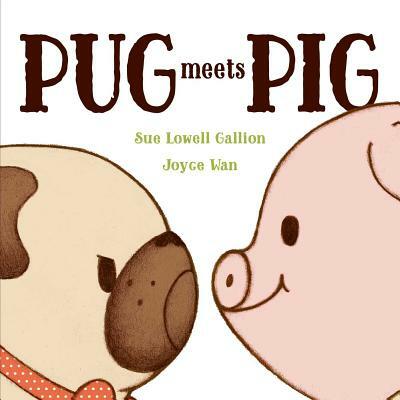 But first, let me tell you about Pug Meets Pig by Sue Lowell Gallion. Pug is very happy at home, with his bowl, his yard, and his bed, until Pig arrives to stay. This sweet and silly story about a roly-poly duo celebrates the timeless themes of embracing change, being kind to others, and finding friends in unlikely places. And whilst this book is targeted to 2-8 year olds, it is perfect for any pug lover to have in their collection. I know my 2 nieces will love it as much as I do. Be sure to check out Sue Gallion’s website for some awesome resources including a kids activity book. The best thing is that I have 4 copies of Pug Meets Pig to giveaway to all of you wonderful readers. And it’s pretty simple… all you have to do is enter below. 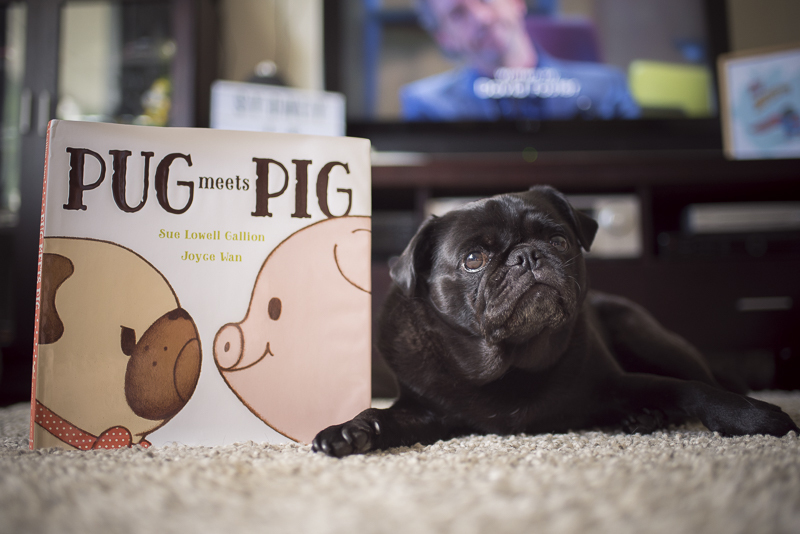 For your chance to win 1 of 4 Pug Meets Pig books, tell us in 25 words or less what would your pug do if they met a pig. This giveaway is now closed. Thank you to everyone who entered. Prizes not claimed within 48 hours will be redrawn.